Make complete copies of files in the documents list. First, select to close any file that is open. Next, tap "Edit" in the the documents list. Tap on each file you want to duplicate to select them. 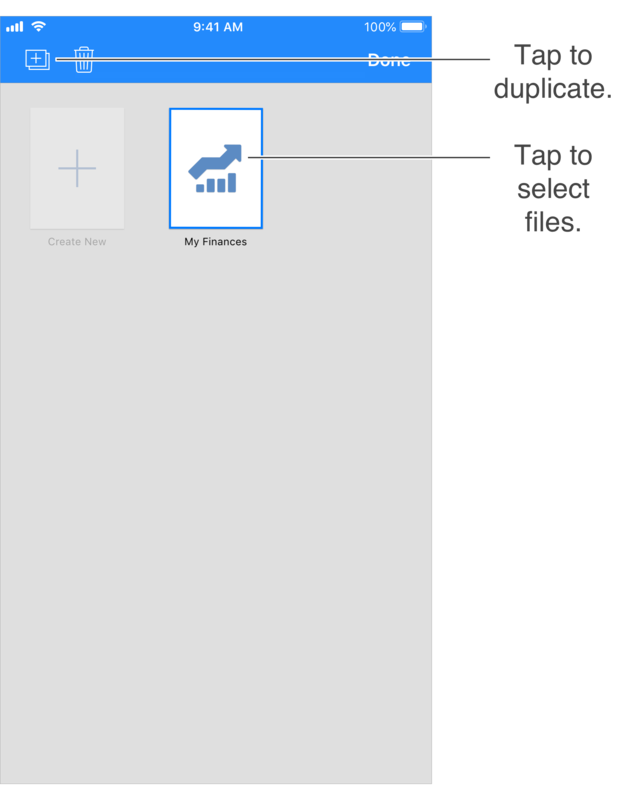 Then tap to duplicate the selected file(s).